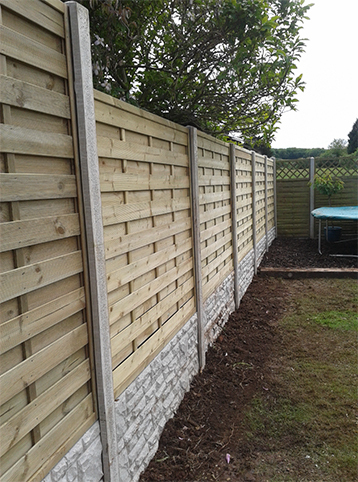 AB Fencing have been established for over 15 years, providing our fencing installation and repair services to many satisfied clients in Clevedon, Portishead, Nailsea, Backwell and the surrounding areas. We pride ourselves on providing top quality workmanship backed by our first class reputation within the industry. Our team is qualified and experienced in all aspects of erecting all types of fencing. AB Fencing are committed to customer satisfaction; we achieve this by providing only first class workmanship in each and every project that our team completes. Our work comes with a guarantee of top standards of workmanship. We offer a full design and planning service to cover all aspects, from conception and planning through to the construction and completion of the project. For more information, please get in touch on 01275 792 692. © 2019 AB Fencing All rights reserved.